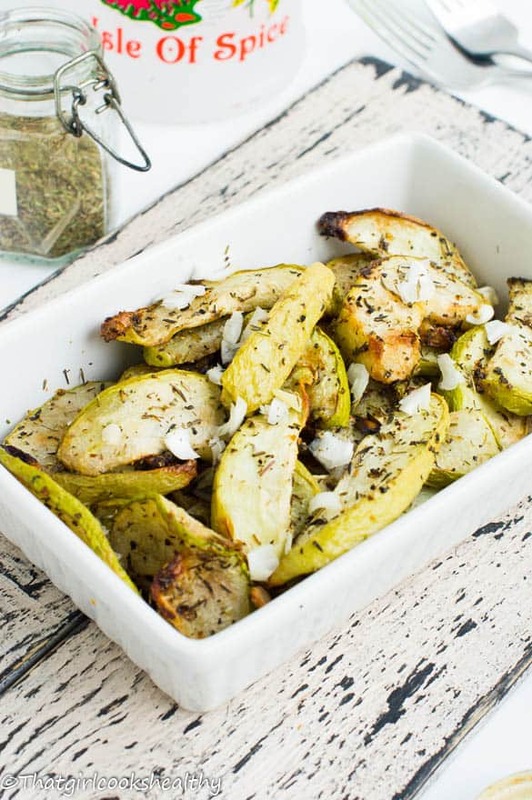 Roasted cho cho recipe – A simply and easy recipe where this light green vegetable known as cho cho to Jamaicans is oven roasted and seasoned to taste. 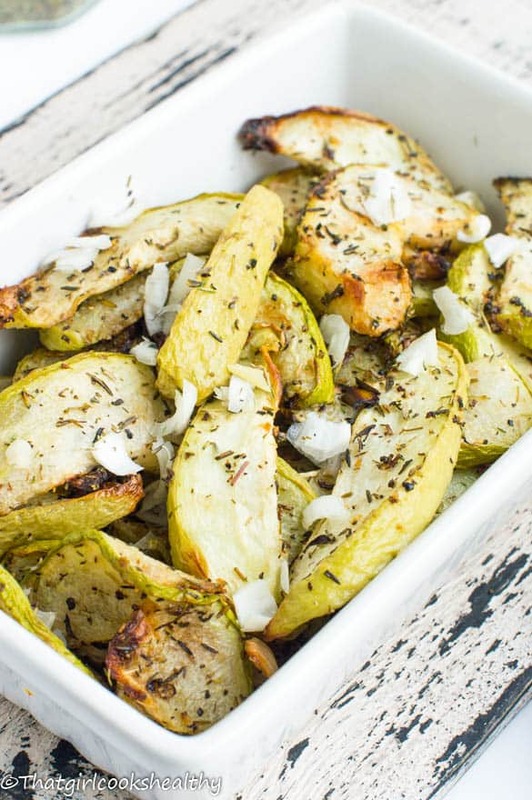 Roasted cho cho also known as chayote or christophine, are you truly ready for this recipe? Probably not but nevertheless it’s coming your way. I first introduced this wonderful vegetable to yourselves via my plantain and cho cho curry. Do read on if you are interested in making a healthy Caribbean appetiser. In case you’re not in the loop Chayote is a small green edible pear shaped vegetable that’s commonly eaten in the Caribbean and Asian. Although it can be eaten raw I’m quite partial to boiling it and adding it to soup but as of lately I’ve been experimenting a lot more courtesy of being a food blogger. You see the best thing about blogging is experimenting, granted it can be quite exhausting doing lots of trial and plenty of error, trust me the emphasis is more on error that anything else BUT…… the ability to tap into your creative side speak volumes. For instance this roasted cho cho recipe was effortless, how it came about was purely through looking at alternative methods to eating cho cho. As I said before, I usually boil it, now I roast and even stir fry it. The prep work is super duper easy, to start with the skin doesn’t require peeling, so that’s extra fibre to your diet. Then cut the chayote into slices, not to thin. By now they should resemblances a plethora of apple slices, only the taste is rather bland. 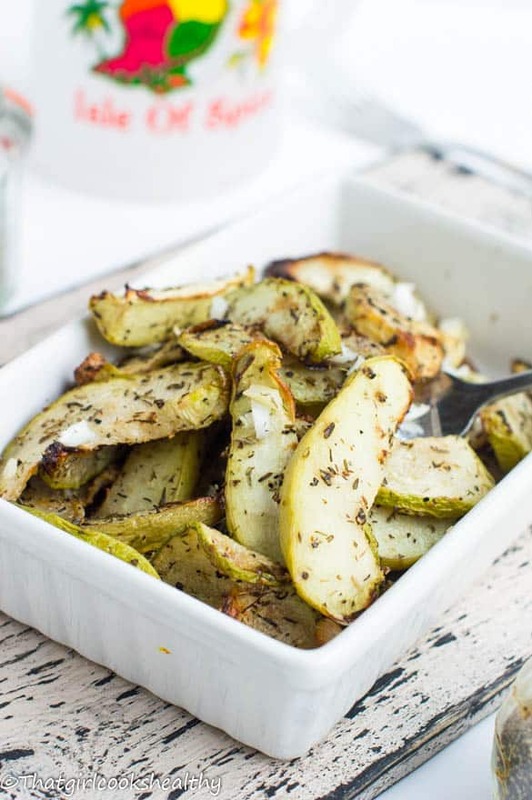 I then concocted a dry rub to apply to the slices – thyme, garlic granules, himalayan pink salt, onion powder and black pepper with a splash of coconut oil for roasting. Don’t over saturate the cho cho as it won’t achieve that crispness and instead become limp and drowsed with oil. The crisp factor really depends in the thickness of the slices and your oven temperature. The thicker the slices the longer it would take to roast. Don’t be alarmed if all slices don’t appear crispy, we want them to be lightly roasted and not charred. Cho cho is perfect for weightloss/calorie control diet as it belongs to the same family as melon, cucumber and gourd – all contain a high water content. Preheat the oven at 190 degrees celsius or gas mark 5 and line a large roasting pan with parchment paper. Using a paring knife, proceed to cut each chayote in half and remove the seed. Then cut the pulp into thin slices and put them in a large mixing bowl. Prepare the dry rub by combining all of the herbs together in a separate bowl. Pour a small amount of coconut oil into washed hands and massage the oil into the slices, remember not to use too much in fear of over saturating the cho cho. 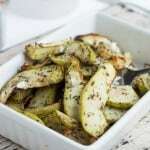 Follow up by rubbing the spices into the lubricated chayote, ensuring each slice is coated with seasoning. Evenly distribute the cho cho onto the pan being careful not to overcrowd use two pans if one isn’t suffice add some of the optional spring onions and leave the rest to garnish. Roast for 40 minutes or until crisp and golden, be sure to turn over half way through. Hey Natalie, well Costa Rica is located right in the middle of the tropics so I wouldn’t be surprised if you had some on your trip. Please give this recipe a try and let me know if you like it. I used to not be too eager to use it because of it being rather bland I find but this is nice way to try it. Fermented is another way I like it. You know I grew up with exactly the same experience as yourself. Cho cho (chayote) was very bland and boring. Since becoming a foodie I have learnt so many ways to prepare this vegetable. I recently tasted chayote a few weeks ago while visiting my son and his family. His mother-in-law made beans and rice and she added chayote to her beans. I’m gluten-free, low fodmap, diabetic and renal diets, so there are so many things I can’t eat. They just made me try the beans, about 2 T, and they were delicious. I became curious about the chayote so this morning I cut up half of one in small chunks, about 1/2 an orange bell pepper, and a few slices of the green part of a leek. I sauteed them in a little olive oil. When they were done, I mixed 2 eggs with a tiny milk, pink Himalayan salt, and fresh ground pepper and added to my peppers. The peppers and eggs were DELICIOUS. One of my daughters asked what it was, and after tasting it, she also said it was delicious. I’ve found a new veggie I can eat. I didn’t peel it, and the seeds were tiny, so I didn’t cut them out. Thanks for your ideas. I now have some other ways of cooking it. I am 71, had 5 kids, have 9 grandchildren and almost 3 great grandchildren. The grandchildren and great grandchildren are mostly hispanic (Puerta Rican, Cuban, Dominican, West Indies Indian, black, Mexican, etc) and so I’ve been learning about a lot of new dishes. I’ve always experimented, and like you, I have had some “errors,” but overall, even with my diet restrictions, I’ve learned to cooked delicious food. I thought I could never cook without onions and garlic, but I was wrong. My stomach really thanks me for not eating them! Hi Doreen, thank you for sharing that wonderful information with me. I’m so glad you were able to experiment with cho cho (chayote). It’s quite a diverse vegetable and can do so many things with it. I will include more recipe featuring this lovely veg, if you would like to see it pop up more on my website. Thanks, Charla, from one Caribbean foodie to another! 🙂 Going to try this recipe tomorrow. 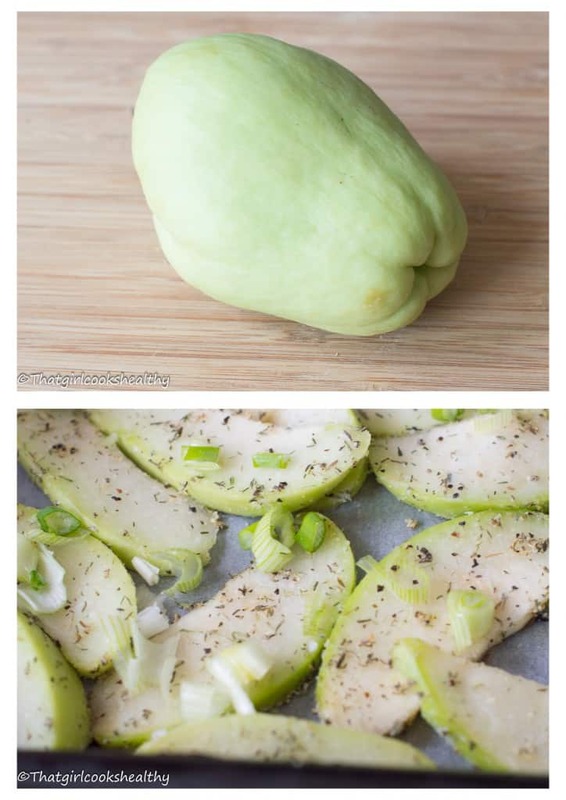 Back home we call chayote christophene, and although I wasn’t a big fan of it growing up, I tasted it at a Haitian friend’s house (she simple steamed it and added some seasonings) and really liked it. Here’s to more chayote! You’re welcome Alison, Cho cho/chayote/christophene is tasteless which is why so many people don’t know what to do with it or don’t like it. Seasoning it up makes a huge difference in terms of taste, enjoy!